The new Jaguar XF will be shown to the world at the 2015 New York motor show - and CAR can reveal that a long-wheelbase version is in the pipeline this time around. Jaguar is planning to do a stretched XF L, just as it offers an XJ L in its bigger brother. In the XJ range, the long-wheelbase version is in fact the global best-seller. However, the long-wheelbase Jaguar XF L is aimed specifically at the Chinese car market, where cars such as the Audi A6 predominate. Extra rear legroom is the name of the game here - a longheld Chinese obsession. It is unlikely that the stretched XF will be sold in the UK, certainly at launch, although Jaguar could react to a change in demand easily enough. 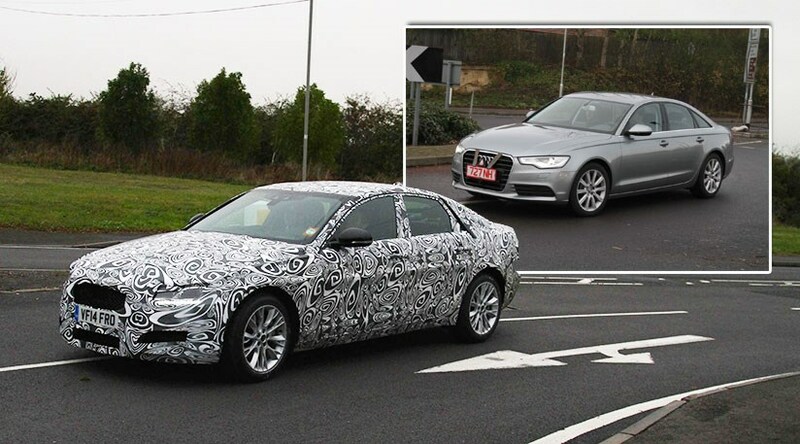 The news, confirmed to CAR by Jaguar board members, explains why we’ve seen Chinese-market stretched Audi A6 L models being evaluated near Jaguar Land Rover’s Gaydon engineering facility (see spy photos above). The next Jag XF, codenamed X260, is switching to JLR’s new aluminium intensive architecture, dubbed iQ[Al]. It will be available in rear- and four-wheel drive, to expand into niches currently hogged by 4wd Audi Quattros, BMW xDrive models and Mercedes 4matics. Inside the new XF, expect the cabin to be inspired by the new XE's (last picture in our gallery). The smartphone functionality and much improved multimedia integration should put to rest the XF's creaking electronic architecture. One of the XFs caught in our spy photos is running the newly developed in-house JLR Ingenium engines in 2.0-litre capacity. The turbodiesel is bound to be the biggest seller in Europe, where CO2 is still king despite recent grumbles over local air quality. The 161bhp 2.0 TD is clean enough to achieve 99g/km of CO2 in the smaller, lighter Jaguar XE. Expect emissions in the 110-120g/km range for the bigger XF. CAR understands that the four-door XF saloon will arrive first, with a New York motor show debut planned for April 2015. The long-wheelbase XF L is likely to bow in at a Chinese show, while a successor to today’s XF Sportbrake is a dead cert, albeit further down the track; today’s XF estate was launched as recently as 2012 and will soldier on.